*Update* We’ve decided to offer 10% off all of our t-shirts this weekend while at Intervention! That’s 10% off all of our rating t-shirts and our Tramp Stamp/Cutie Mark t-shirt! Take one home this weekend! We’ll be at Intervention again this weekend out in Rockville, MD. 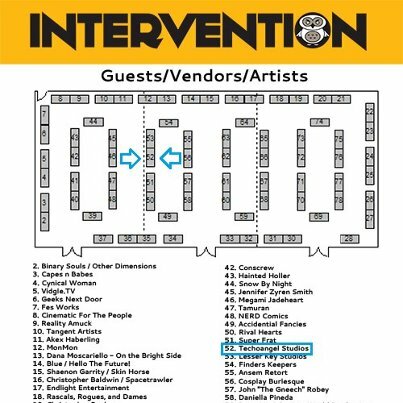 We’ll be at table 52. We’re looking forward to another great time this year, so come out and join us! We’re going to be joined by our friends Tamuran, LaSalle’s Legacy, Snow by Night and Megami Jadeheart once again this year, plus other awesome people.